Be sure to visit our Ten on the 10th link party. That post will get a lot of traffic so make sure you link up any upcycles and thrift store makeovers. Even if it is an old post. 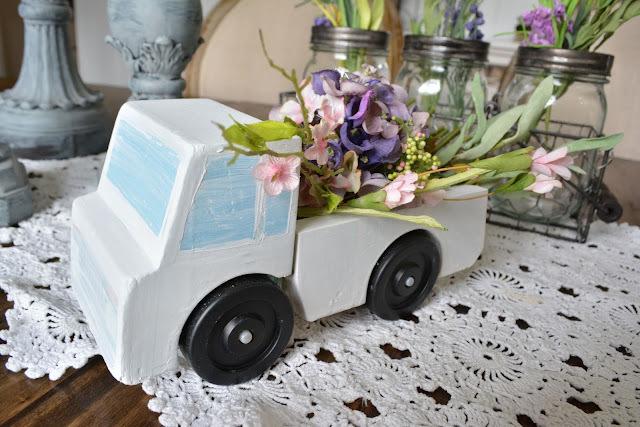 I upcycled this pick up truck from a toy garbage truck. I also shared our dish hutch decked out in black and red. I love it. What are we up to? We had a pretty lazy weekend. Bill worked on his fishing stuff. I did a jigsaw puzzle. I also putzed around the house after church on Sunday. I was thrilled to do a design reset for a friend. We took all her knick knacks and put them on the breakfast room table. We moved pictures and furniture around. I set the knick knacks back out. I'd love to do more of these. She feels like she has a new house. She's got some paintings out to be framed but other than that she didn't need anything else. the only cost was my fee. I didn't get pictures but here is what my dining room looked like when I was in the midst of one here at home. I've bought some great thrifted finds lately. It was time to upgrade some accessories and edit as well. Do you ever wake up and dislike everything you own? The laundry room shelves got a redo as a part of the reset. Here is a peek at those. Open shelving in the laundry room is tricky. I need to store stuff we use but I don't want it to look junky. I built a window box yesterday. These are not difficult but they are so cute when they are styled. Some white paint on it is drying and it should be ready for styling tomorrow. Penny from Penny's Vintage Home shows of her new fairy garden and some of the fairy gardens she has had elsewhere in her house. Making it in a cupboard is just such a cute idea. Fairy Gardens are perfect early spring decor. I think I saw those fairy garden houses at Michaels. Your truck is so cute, Katie! You sure do keep busy. Thanks so much for hosting each week. Happy Valentines's Day! The truck is adorable. I like to take all the stuff down and start over with moving decor pieces too. It is fun to get a whole new look with stuff you already have. Happy New Week. 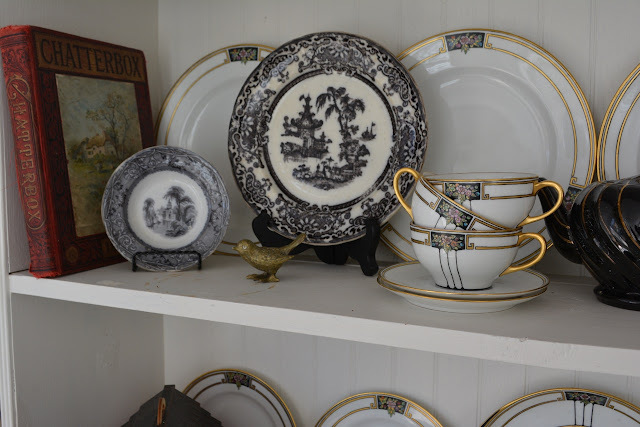 I love your china with the black accents! And that's such a fun idea to help others get a fresh perspective on decor using what they have. Thanks for hosting, Katie! 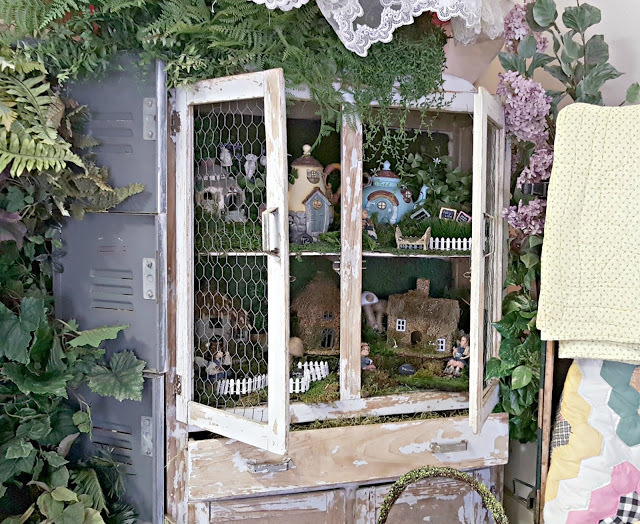 Thank you so much for featuring my fairy garden post! You've been one crazy busy woman! It all looks great. Your laundry room especially makes me smile! Lots of great inspiration this week Katie! Thanks for hosting and have a Happy Valentine's Day!